Home > Menzerna Endless Shine Quick Detail Spray 16 oz. Menzerna Endless Shine Quick Detail Spray 16 oz. Produces an endless shine that will keep you coming back for more! Menzerna Endless Shine Quick Detail Spray is a product that merges the gap between detail spray and spray wax. This polymer-intensive detail spray contains enough protective ingredients to be considered a spray wax, yet it still has the lubricity and cleaning ability of an easy-to-use detail spray. Use Menzerna Endless Shine Quick Detail Spray in between washes to remove light dust and dirt, or as a quick and easy way to boost the shine and slickness after washing your vehicle. Menzerna Endless Shine Quick Detail Spray creates a crystal clear blanket of polymers that causes water to sheet off the surface, leaving your paint clean and shiny. Menzerna Endless Shine sheets water so well you’ll eagerly await a rain storm just so you can watch water roll off the surface! Menzerna Endless Shine Quick Detail Spray is compatible with all polymer and carnauba-based waxes and sealants. Use it as the finishing touch after detailing your vehicle to really make the paint POP, or as a detail spray in between washes to refresh the shine. Whichever way you choose to apply Menzerna Endless Shine Quick Detail Spray is up to you, because the end result is going to be the same – extremely glossy, slick paint! Menzerna Endless Shine Quick Detail Spray is an extremely concentrated product, so for best results we recommend using TWO quality microfiber towels (Gold Plush Jr.) to apply it. Use one towel to distribute the product, and a second clean, dry towel to buff it off. This will ensure a streak-free shine every time! Jescar Power Lock Polymer Paint Sealant 16 oz. This is the first time I used Menzerna Endless Shine and the result is very nice .. not wrong if ES referred to more as a spray wax than a QD.. 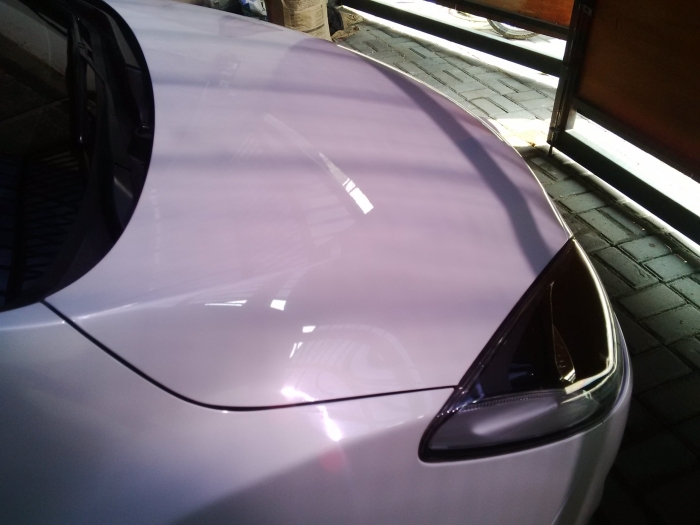 I applied it onto two colors, white and dark gray, and the results are the same: a deep, gloss, and slick paint ..
on the dark gray color, I use ES directly above SF4000 and ES could function as a finishing step..
ProsBeautiful shine. Leaves a little protection. Such a small amount of product to do the vehicle. I have tried many types of quick detailers but this one has the best shine I have ever seen. It reminds me of CGs V7 but shinier. It sprays on thicker than a normal QD and leaves a gloss that is reminds me of the look of a fresh application of a coating. I didn't have much trouble with streaking. I would not spray it on heavy because of the thick consistently. If you are looking for something that sets your car apart from all the rest give this one a shot. Used this on my clean truck in the early morning hours about 70* out. This stuff streaks better than a college football fanatic looking to get arrested on game day! I even went over it a second time a few hours later thinking maybe my MF towel was wet or something, same thing. I love Menzerna products especially Powerlock but this one needs some work. I wish I could get my money back! Merchant Response:Endless Shine is more of a spray wax than a quick detail spray. 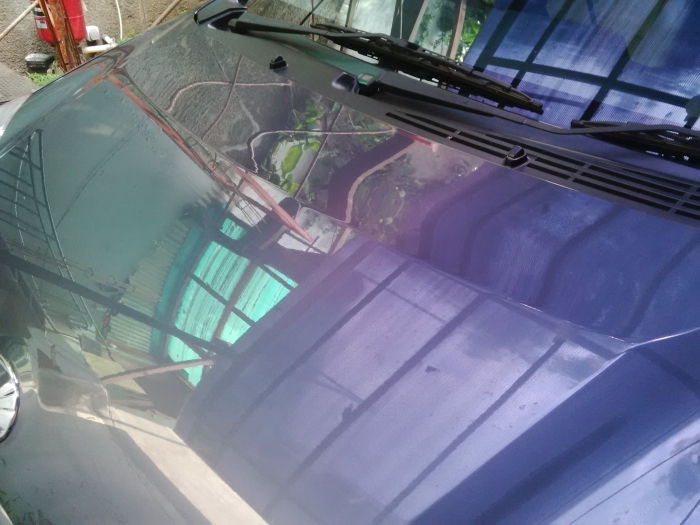 For this reason it's best to use a SECOND clean, dry microfiber towel to BUFF the panel after wiping off the product. Try this technique and you will be much happier with the performance of Endless Shine. Cons...if you can see it through the streak marks!